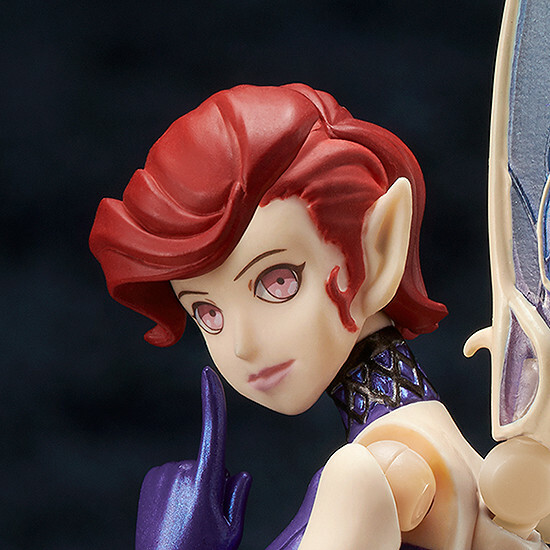 From the legendary RPG series that began in 1992 and still has ongoing release, "Shin Megami Tensei", comes a figma of Pixie! She comes with two different face plates looking in different directions, as well as a variety of different hand parts. The gradient of her beautiful wings has been painted with great care to capture the appearance as faithfully as possible. Painted ABS&PVC non-scale articulated figure with stand included. Approximately 125mm in height. Preorders will be open from 27th February 2018 (Tues) from 10:00JST until 29th March 2018 (Thu) at 12:00JST.